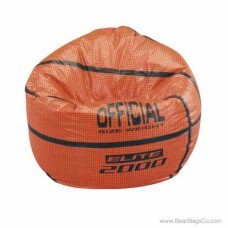 31" x 32" x 21"
It is time to spike the ball and order the Fun Factory’s Football Junior Sports vinyl pure bead bean bag chair. You will score a certain touchdown with this cool and fun casual furniture, perfect for your den, student’s room or patio. 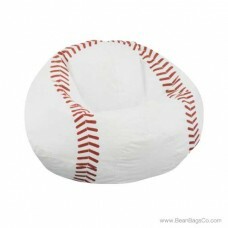 The tough PVC vinyl construction means that clean up is a snap and this chair can take all the tackles thrown at it. The pure bead filler guarantees comfortable seating with no sagging and bagging. Part of our Junior Sports Collection, the Football pattern is perfect for your favorite player. 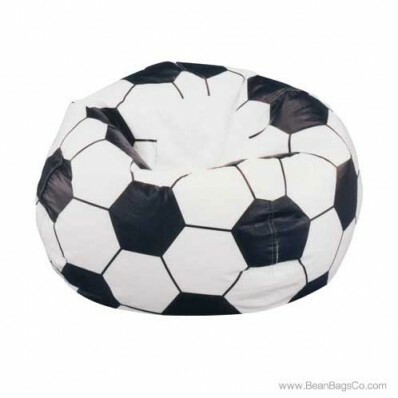 Whether you need junior furniture for your child’s room or just want a fun place to relax and watch television, the Football bean bag lounger fits the bill. 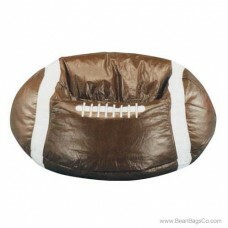 Sturdy construction, a great look that your kids will love, and easy clean up; this lounger scores the field goal. 31" x 31" x 22"